Adorable 1 bedroom, 1 1/2 baths, 1 car garage villa style condo located in the desirable 55 plus Highland Lakes Community. 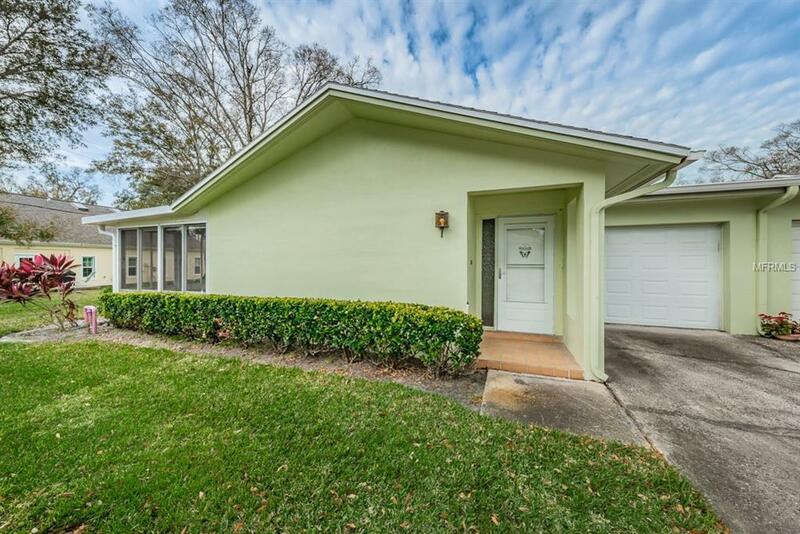 This home offers a freshly painted interior, new hurricane windows, newer laminate floor in foyer, kitchen, and bathrooms, new A/C, new dishwasher, newer washer & dryer, newer toilets, faucets, and bath fitter tub in bathroom, A Florida Room and a new garage door! This ommunity has a low monthly maintenance fee of 323.00 that covers the insurance on the building, roof, water/sewer/trash lawn care, escrow reserves, and basic cable. This condo community sits with the Highland Lakes Community that offers an active clubhouse, 2 heated pools, golf, library, aufitorium, tennis courts, a lodge that is located on Lake Tarpon with a pool and dock for 108/month. You will love living in this community sith so many things to do, so hurry and make this your new address! Additional Lease Restrictions Please Contact The Management Company For Exact Details On Leasing Unit.